NEC Corporation announced today that NEC Energy Solutions (NEC ES), a wholly-owned subsidiary, through its exclusive distributor in China, Puxing Energy, continues to increase its market penetration with the commissioning of two 9MW projects for Ray Power. NEC Corporation and Ceragon Networks Ltd. have entered into a collaboration agreement to further expand their global wireless backhaul business footprint. NEC Corporation and Northgate Public Services (NPS), a wholly owned NEC subsidiary, today announced that NPS acquired three EMIS Group plc businesses for POUND14.9 million, to strengthen its growing screening and preventative healthcare offering. These core principles will further strengthen NEC&apos;s efforts to demonstrate respect for privacy and human rights in relation to the application and utilization of AI and biometrics data across all businesses. Medco Power Indonesia (MEDC.JK) (through its subsidiary) and NEC Corporation (TSE:6701) will begin proving trials as of April for a system to detect equipment malfunctions and breakdowns at the predictive stage, under the assumption of full-scale introduction of the system by Medco Power Indonesia. NEC Corporation and NEC Corporation of Malaysia today announced the successful completion of a Software-Defined Wide Area Network (SDWAN) trial with the University of Kuala Lumpur (UniKL) in Malaysia. 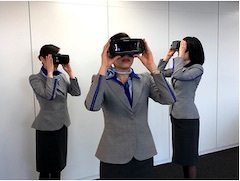 ANA first began to use this advanced training system in 2018, and all 800 new flight attendants received VR training in the program&apos;s three distinct scenarios: internal cabin fire, sudden depressurization and in-flight equipment check. Toyota Tsusho Corporation and NEC Corporation announced the conclusion of a contract with Uzbektelecom JSC, the Uzbek state-owned communication carrier, to expand and improve their nationwide network infrastructure as part of strengthening the communication environment of Uzbekistan. 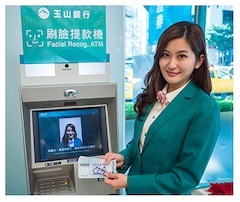 NEC Corporation and Macromill, Inc. have jointly developed consumer insight marketing services using AI and biometric information and will launch services from April 2019. NEC Corporation has announced the completion of the process for acquiring all shares of KMD Holding ApS (KMD Holding), the holding company of KMD A/S (KMD), the largest Danish IT company, making KMD Holding an NEC subsidiary on February 21 this year. NEC Corporation (TSE: 6701) has published "NEC Multiband Radio Solution", a white paper that introduces a noble approach that utilizes existing NEC iPASOLINK radio technologies to boost capacity and range without compromising availability. NEC Corporation and Netcracker Technology announced that Rakuten, the Japan-based global leader in internet services, has selected Netcracker&apos;s next-generation digital business and operations solutions to enable a disruptive go-to-market strategy with its mobile network launch. NEC Corporation has announced its provision of a facial recognition system via NEC Taiwan Ltd. to E. SUN Commercial Bank Ltd. (E. SUN Bank), a major Taiwanese bank. NEC Corporation today announced the development of Radio Units (RU) for 5G base stations that comply with O-RAN fronthaul specifications established by the O-RAN Alliance. The operators plan to test or introduce O-RAN-compliant products in commercial 5G networks from this year onwards. NEC Corporation announced the successful demonstration of adaptive network control technology in its MEC servers and base stations that helps to improve the safety of automated driving. NEC Corporation announced that Bio-IDiom and the Hachioji Model: "Sustainable Healthcare Ecosystem" were named winners of this year&apos;s iF DESIGN AWARD, a globally recognized award for design. 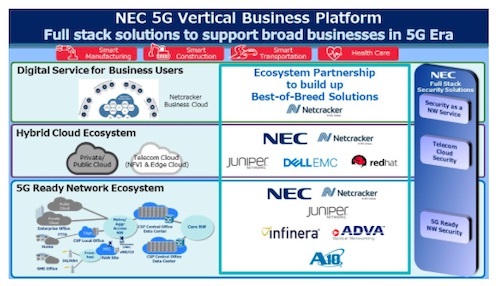 NEC Corporation announced the global provision of the "NEC 5G Vertical Business Platform" for Communication Service Providers (CSPs) to provide networks, clouds and applications for the arrival of the 5G era. NEC Corporation has announced the successful completion of the first ETSI Millimetre Wave Transmission (mWT) Plugtests event for demonstrating the interoperability of SDN solutions for microwave and Millimetre-wave transport applications. NEC Corporation it has requested to be withdrawn from the rating services of Moody&apos;s Japan K.K. 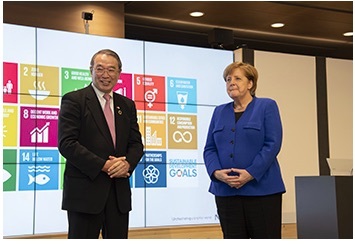 Sumitomo Mitsui Banking Corporation and The Japan Research Institute, Limited will fully deploy, and commence use of in March 2019, Trifacta Wrangler Enterprise, software that greatly enhances the efficiency of data preparation. NEC Corporation (TSE: 6701) announced today that a contract has been awarded by Okinawa Cellular Telephone Company for NEC to design, engineer, supply, install, test and implement an optical submarine cable system connecting Okinawa Prefecture and Kagoshima Prefecture in Japan. 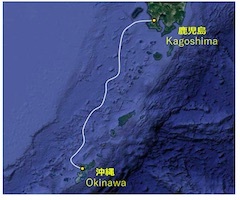 NEC will provide the optical submarine cable system as a turnkey solution. NEC Corporation today announced the provision of an advanced Traffic Management Solution (TMS) for Telekom Srbija, Serbia&apos;s largest mobile operator. 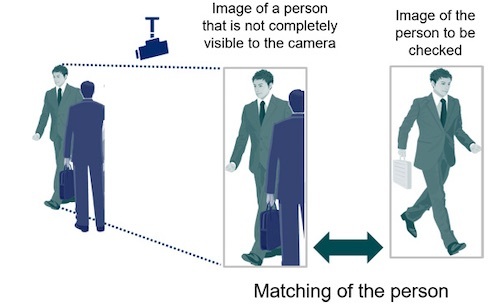 NEC Corporation today announced the development of a "Person Re-identification Technology" that is capable of matching images of people whose figures are partially hidden from cameras, even if the image is taken from behind or from the side. NEC Corporation has announced that German Chancellor Dr. Angela Merkel visited the company&apos;s Tokyo headquarters on Tuesday, February 5, where she was introduced to NEC&apos;s advanced ICT technologies, including AI and biometric identification solutions, and engaged in dialogue with employees about technology, regulations and privacy protection. Sales of this latest version of NEC&apos;s Obbligato PLM software are scheduled to begin today. NEC Corporation has contributed to a high-definition video transmission test utilizing 5G to a high-speed train conducted by NTT Communications Corporation, NTT DOCOMO, INC. and TOBU RAILWAY CO., LTD. through the provision of a 5G base station. 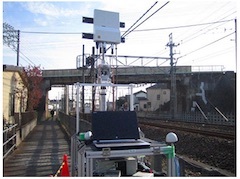 NEC Corporation, KDDI Corporation and Obayashi Corporation today announced that they had successfully carried out an operation in which the next-generation mobile communication system 5G was used to remotely control two construction machines in a cooperative manner. The aim of this 5th PoC was to further advance the achievements from the prior 4 PoCs, and to move a step closer to commercially deployable SDN controllers integrated into an Open Network Automation Platform (ONAP).